This sturdy, top-rated, high-quality ergonomic Dual Monitor Wall Mount Extension Arm supports up to (2) 22" widescreens perfectly when displays rotate outward. 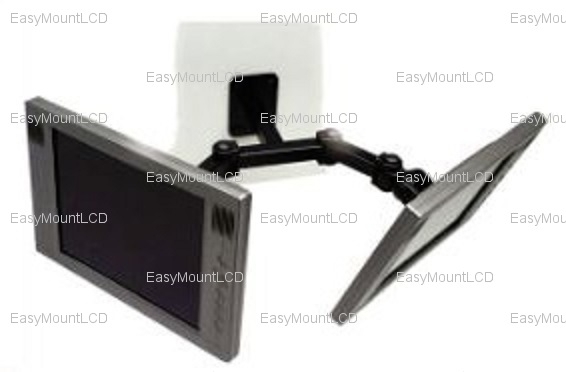 Fits most LCD/LED/Plasma displays up to (2) 17" side by side flash mount. With classic black finish and heavy-duty steel structure, this well-designed wall mount is the ideal for home theaters, boardrooms, conference rooms, merchandising displays, digital signage, and much more. 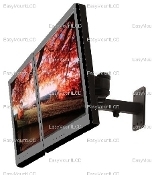 It offers users complete flexibility to reposition their screens for maximum comfort and optimum view ability. A perfect solution for limited space applications by removing clutter from the desktop, using work space effectively and mounting LCD screens conveniently. 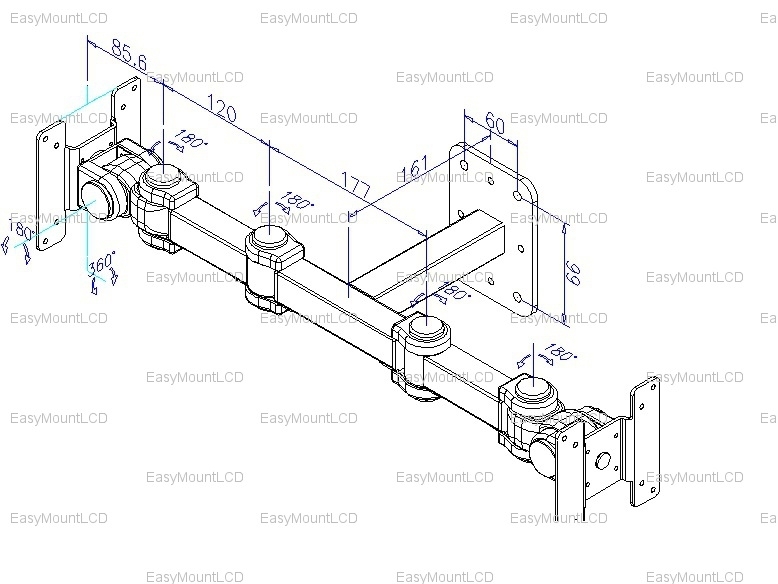 * Please check your LCD or LCD Manual to ensure the VESA compatibility with this mount before purchasing. An Open box unit is an item that has been opened and assembled by someone . Package contains all hardware necessary for mounting. There might be some minor scratches or imperfections.